Which Home Features Could Increase Your Home Insurance Premiums? > Which Home Features Could Increase Your Home Insurance Premiums? Even though summer in many provinces can be short, you may have dreamed of adding a pool or spa to your backyard. Perhaps you'd also like to add an outdoor seating area, deck, or barbecue. Indoors, you may want to finish your basement and create a family, game, or hobby room. These features may add value to your home. They can also contribute to higher home insurance premiums. Which home features can add to insurance premiums? Pools and spas are popular home amenities. They also contribute to higher home insurance premiums in two different ways. First, they add value to your home. A 10% increase in home value will result in a corresponding premium increase. While a modest modular spa on an outdoor deck might not result in a large premium increase, a concrete pool with a deck is likely to increase premiums. Potential liability is the second reason that pools, spas, and even backyard ponds could lead to higher insurance costs. Many people aren't aware that their homeowner's policy provides liability coverage in case an accident occurs on their property. Pools have inherent risks even if safety rules are followed at all times. The Pool and Hot Tub Council of Canada has prepared a list of safety recommendations for homeowners with pools and spas. 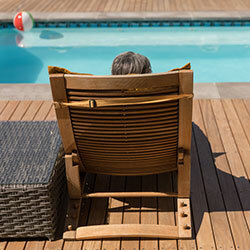 Items like child-proof fencing and alarms for unauthorized use can help to make your pool area safer and may lead to lower insurance costs because they reduce the potential for accidents. Room additions, including offices and annexes, also contribute to higher premiums. Insurance companies want to know if you're conducting business at home, and if so, how many customers visit your property. If you work remotely at home, a home office won't necessarily increase your insurance costs, but do expect a boost in premiums if you have customers who arrive and leave with any frequency. Finished basements are popular and also a source of higher home insurance bills because they may contain expensive equipment or furnishings and they are also prone to flood damage. Wood stoves are another feature that are charming but may increase home insurance due to fire risk. Will Vintage and Older Home Wiring and Plumbing Increase Home Insurance Costs? In a word: yes. Oil-based heating is one of the most common sources of higher home insurance rates. Insurers prefer central heating and air conditioning and, if they do insure oil heaters, will charge more due to environmental hazards and fire risks. Old forms of wiring, including knob and tube wiring and aluminum wiring, are also hard to insure and costly. Galvanized or lead pipes increase insurance costs due to the disadvantages that homeowners are already familiar with. They build up corrosion and are vulnerable to bursting in cold weather. Copper and PVC pipes are preferred by homeowners and insurers alike. Other factors also influence home insurance costs, including details like how close your home is to a fire hydrant. Learn more about what factors into your home insurance rate and how much you may be able to save on premiums with by comparing your rate today.